The Panasonic P66 Mega is a comparatively ambitious offering from Panasonic camp. 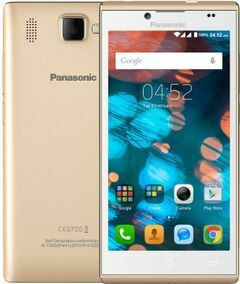 Panasonic P66 Mega comes with a Golden back cover which folds and curves on top and bottom to reach the front panel, which has a contrasting white layout. The handset doesn't ace in terms of specifications and doesn't bring any ground breaking feature to the table, but still offers reasonable hardware for the price if you want to stick to a familiar brand. To start with, there is a 5-inch HD display and unspecified 1.3 GHz Quad-Core 64-bit processor powering the device. The processor is coupled with 2GB RAM and 16GB internal storage with support for 32GB microSD expansion. For photography, this dual SIM handset includes 8MP rear camera with LED Flash and a 5MP front camera. You can record 1080p videos from the rear shooter. Other features include 3G HSPA+, WiFi 802.11 b/g/n, Bluetooth 4.0, GPS and 3200 mAh battery. The handset is missing 4G LTE connectivity which could be a deal breaker for many in 2016.